On the inhale, the flavor is deep and intense; you can feel the woody/earthy taste typical of premium cigars. On the exhale, the taste is calmer and lingers for a short second as you savor the goodness. Cigar Tobacco has a solid vapor profile that is felt beautifully on the throat, regardless of nicotine and output levels of your ecigarette. 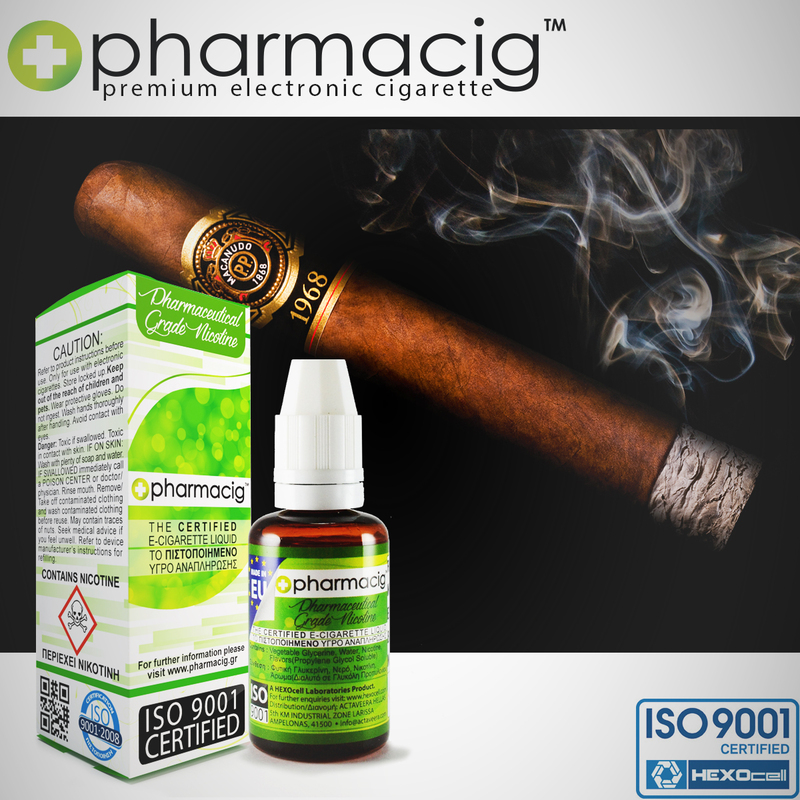 To maximize the vape, we suggest vaping it by taking slow drags and releasing the vapor without inhaling - this is the way to smoke most cigars and doing so will bring out the very best in Cigar Tobacco. Huge volumes of vapor, amazingly accurate flavor transmission levels and a legendary throat kick - you can't go wrong with Cigar Tobacco!